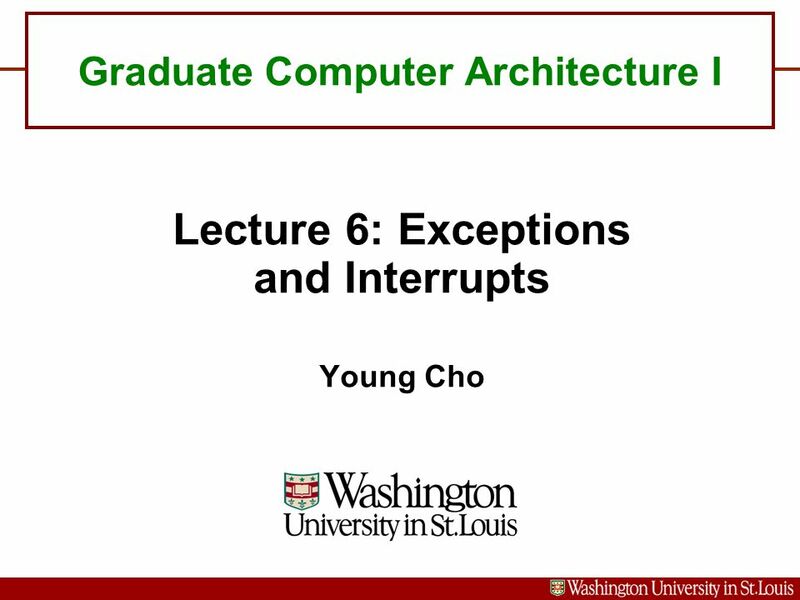 Graduate Computer Architecture I Lecture 6: Exceptions and Interrupts Young Cho. 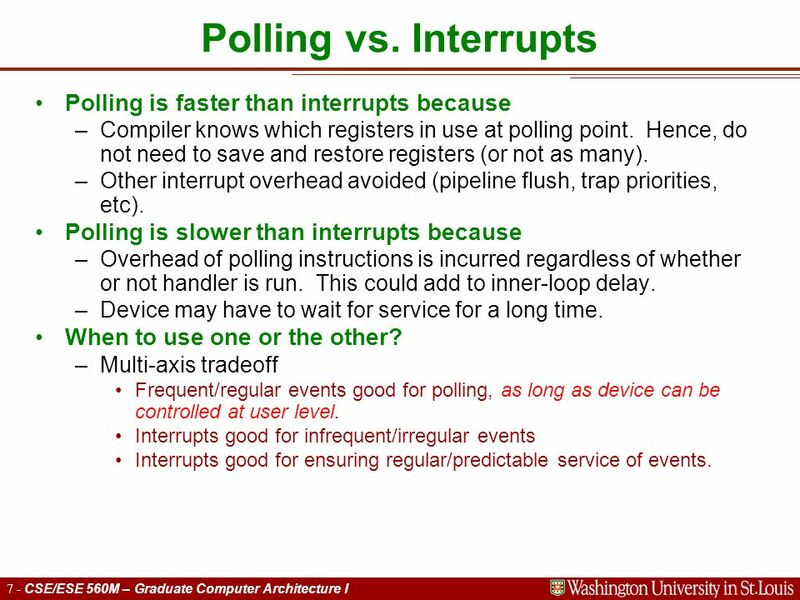 7 7 - CSE/ESE 560M – Graduate Computer Architecture I Polling vs. Interrupts Polling is faster than interrupts because –Compiler knows which registers in use at polling point. 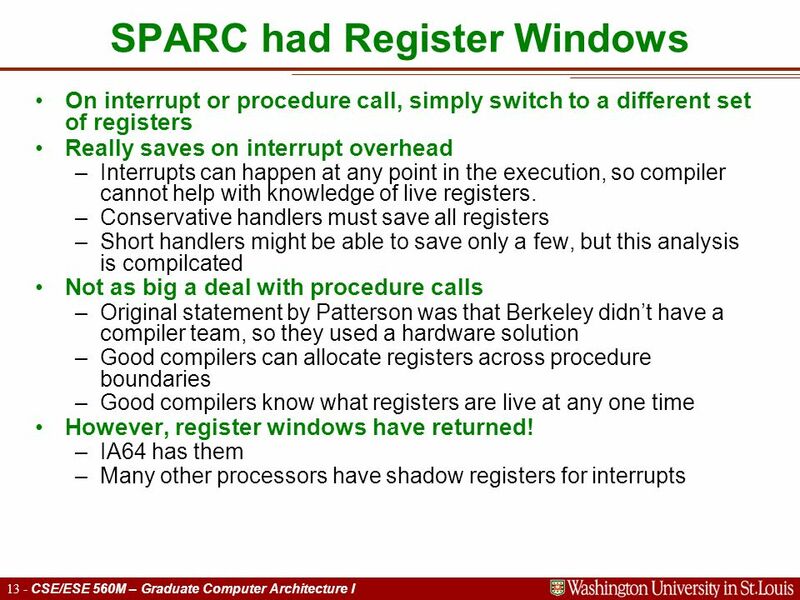 Hence, do not need to save and restore registers (or not as many). 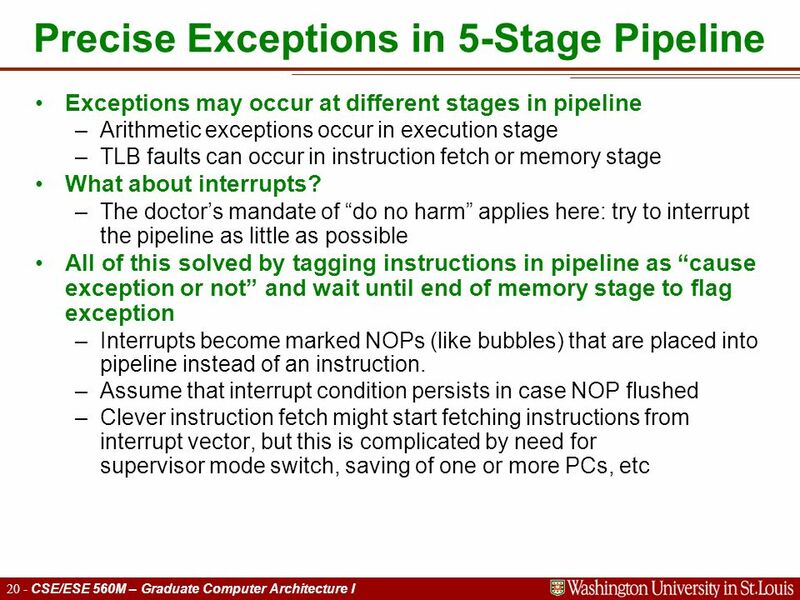 –Other interrupt overhead avoided (pipeline flush, trap priorities, etc). Polling is slower than interrupts because –Overhead of polling instructions is incurred regardless of whether or not handler is run. This could add to inner-loop delay. –Device may have to wait for service for a long time. When to use one or the other? 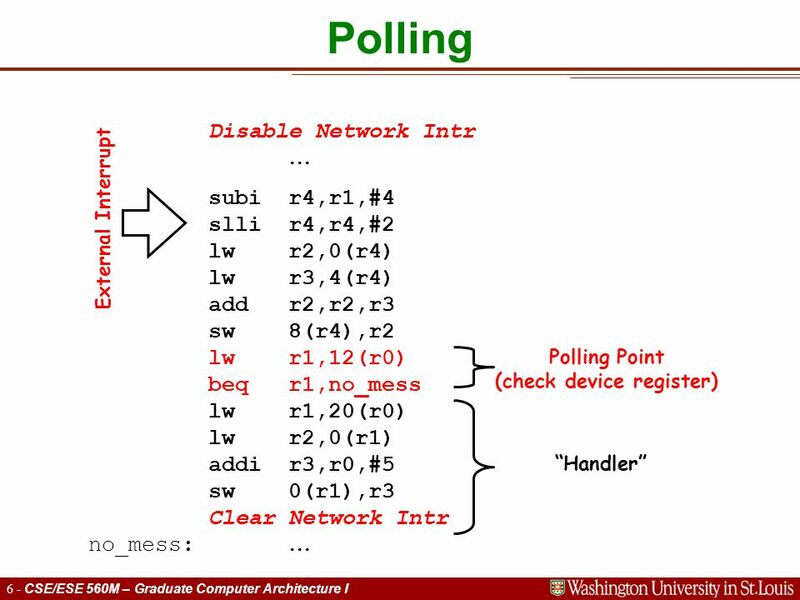 –Multi-axis tradeoff Frequent/regular events good for polling, as long as device can be controlled at user level. 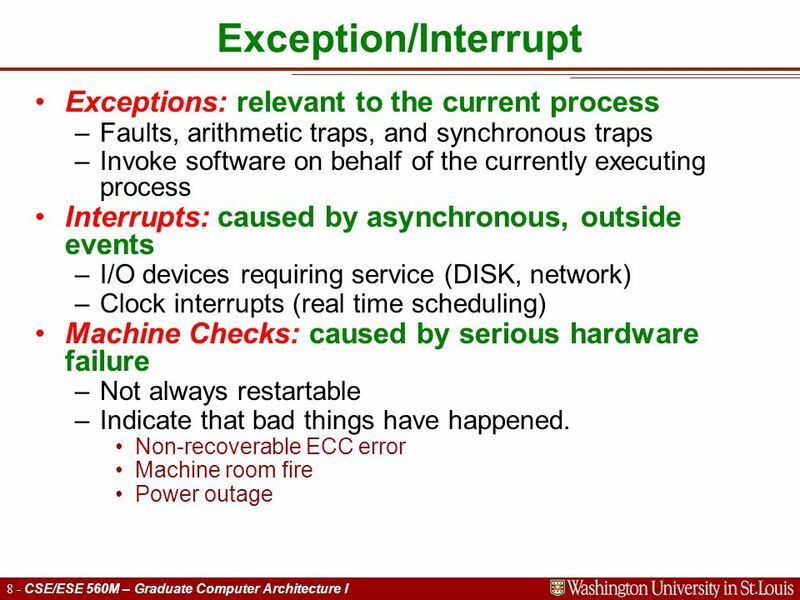 Interrupts good for infrequent/irregular events Interrupts good for ensuring regular/predictable service of events. 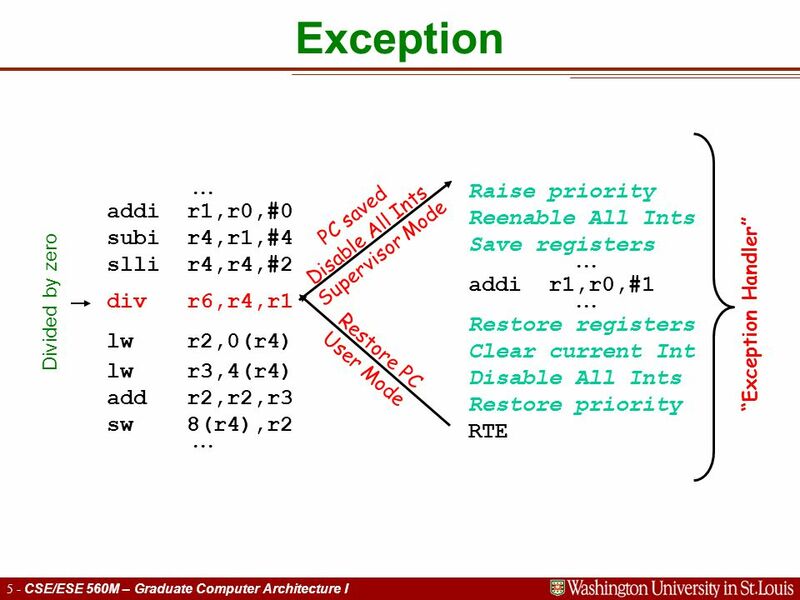 11 11 - CSE/ESE 560M – Graduate Computer Architecture I Interrupt Controller and Priority levels Operating system constructs a hierarchy of interrupt priority. 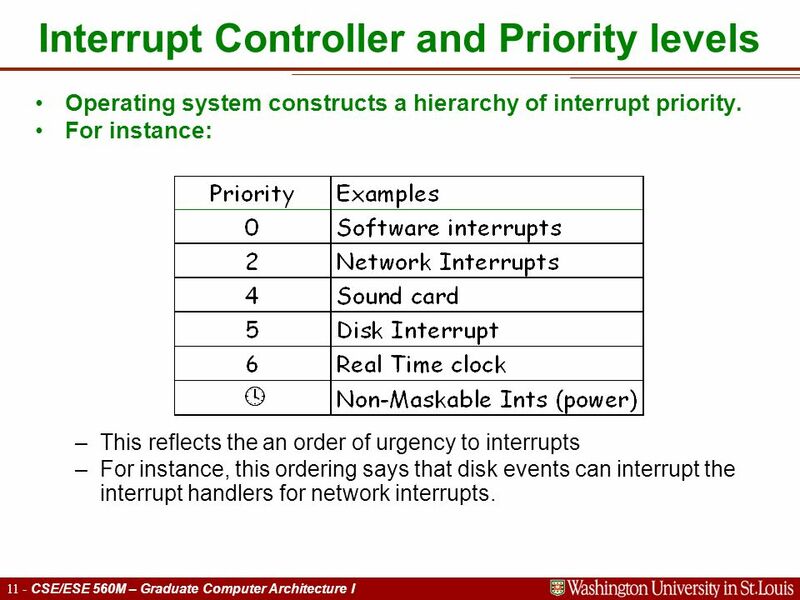 For instance: –This reflects the an order of urgency to interrupts –For instance, this ordering says that disk events can interrupt the interrupt handlers for network interrupts. 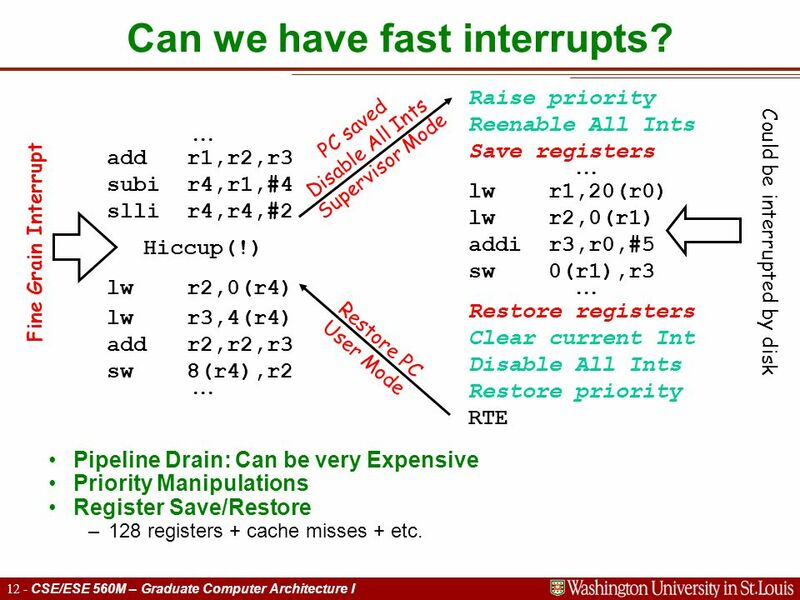 12 12 - CSE/ESE 560M – Graduate Computer Architecture I Pipeline Drain: Can be very Expensive Priority Manipulations Register Save/Restore –128 registers + cache misses + etc.  add r1,r2,r3 subi r4,r1,#4 slli r4,r4,#2 Hiccup(!) 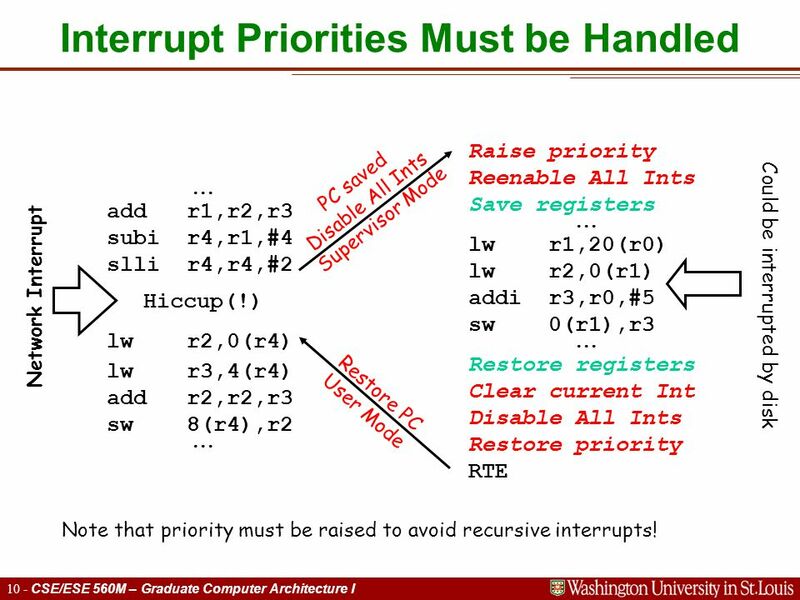 lwr2,0(r4) lwr3,4(r4) addr2,r2,r3 sw8(r4),r2  Raise priority Reenable All Ints Save registers  lwr1,20(r0) lwr2,0(r1) addi r3,r0,#5 sw 0(r1),r3  Restore registers Clear current Int Disable All Ints Restore priority RTE Fine Grain Interrupt PC saved Disable All Ints Supervisor Mode Restore PC User Mode Could be interrupted by disk Can we have fast interrupts? 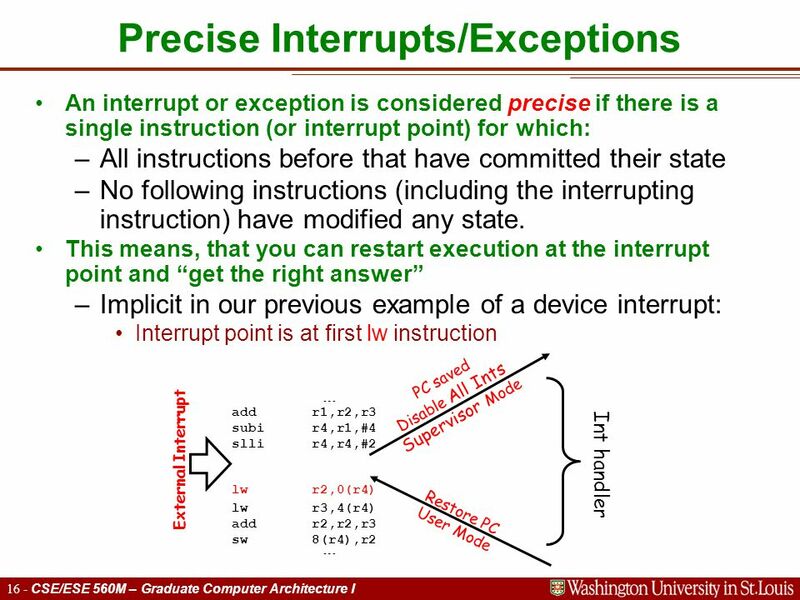 15 15 - CSE/ESE 560M – Graduate Computer Architecture I Entry into Supervisor Mode Entry into supervisor mode typically happens on interrupts, exceptions, and special trap instructions. 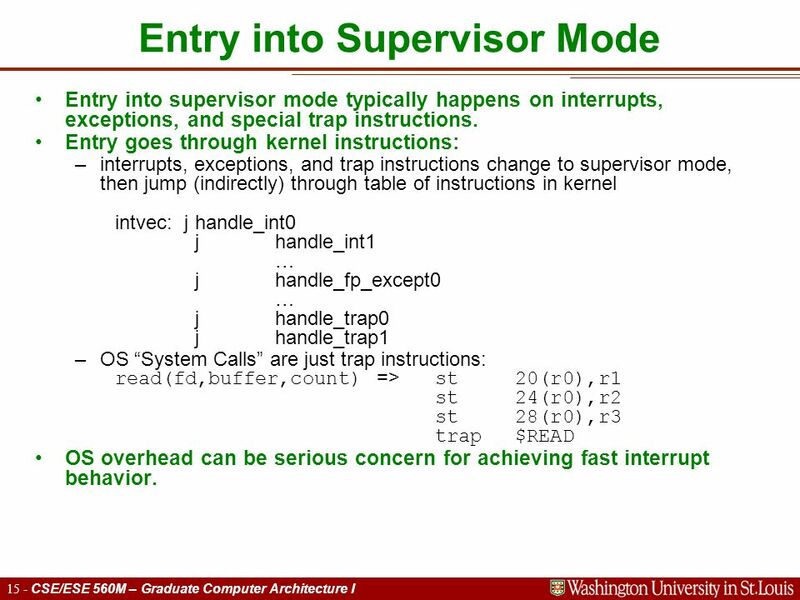 Entry goes through kernel instructions: –interrupts, exceptions, and trap instructions change to supervisor mode, then jump (indirectly) through table of instructions in kernel intvec: jhandle_int0 jhandle_int1 … jhandle_fp_except0 … jhandle_trap0 jhandle_trap1 –OS “System Calls” are just trap instructions: read(fd,buffer,count) => st 20(r0),r1 st 24(r0),r2 st 28(r0),r3 trap $READ OS overhead can be serious concern for achieving fast interrupt behavior. 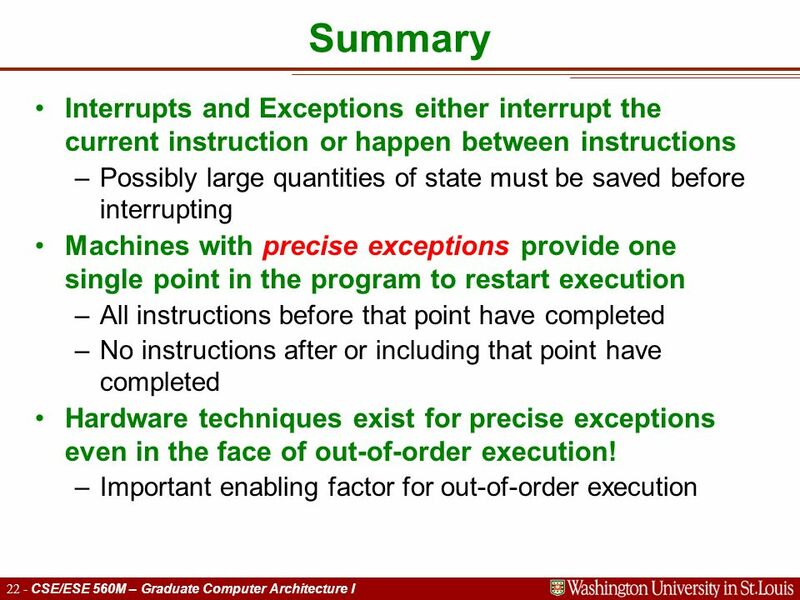 19 19 - CSE/ESE 560M – Graduate Computer Architecture I Approximations to precise interrupts Hardware has imprecise state at time of interrupt Exception handler must figure out how to find a precise PC at which to restart program. 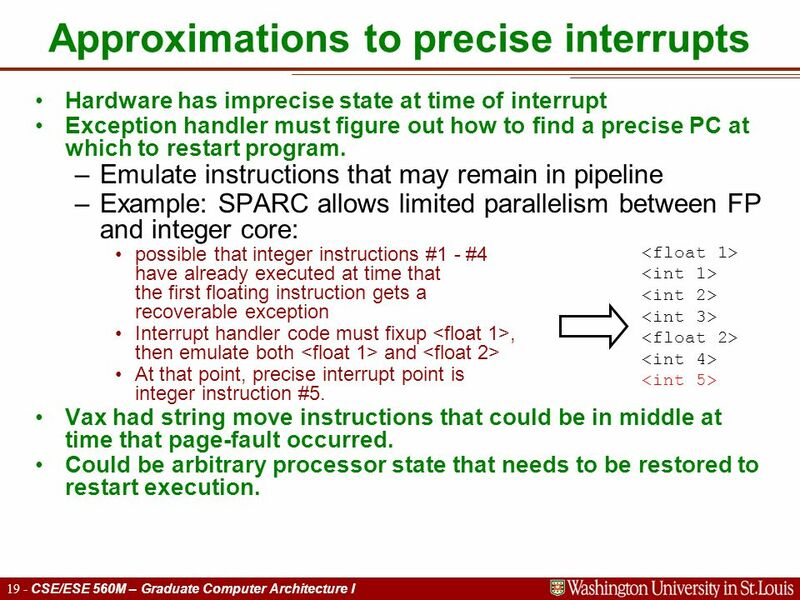 –Emulate instructions that may remain in pipeline –Example: SPARC allows limited parallelism between FP and integer core: possible that integer instructions #1 - #4 have already executed at time that the first floating instruction gets a recoverable exception Interrupt handler code must fixup, then emulate both and At that point, precise interrupt point is integer instruction #5. Vax had string move instructions that could be in middle at time that page-fault occurred. 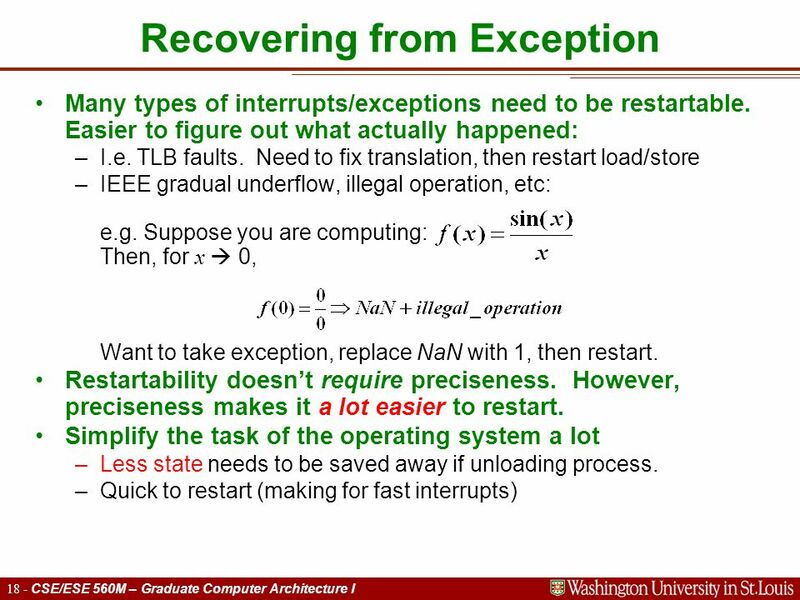 Could be arbitrary processor state that needs to be restored to restart execution. 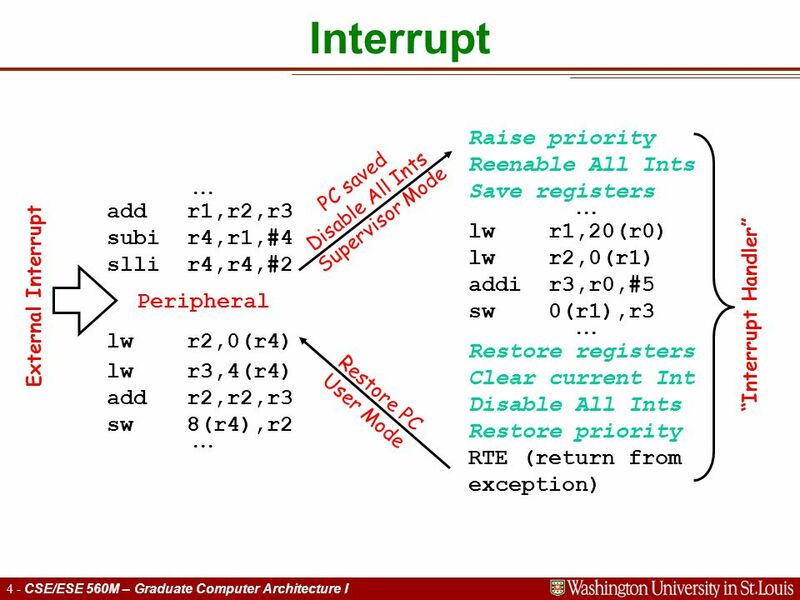 Download ppt "Graduate Computer Architecture I Lecture 6: Exceptions and Interrupts Young Cho." More on Processes Chapter 3. Process image _the physical representation of a process in the OS _an address space consisting of code, data and stack segments. Computer System Organization Computer-system operation – One or more CPUs, device controllers connect through common bus providing access to shared memory. Microprocessors General Features To be Examined For Each Chip Jan 24 th, 2002. 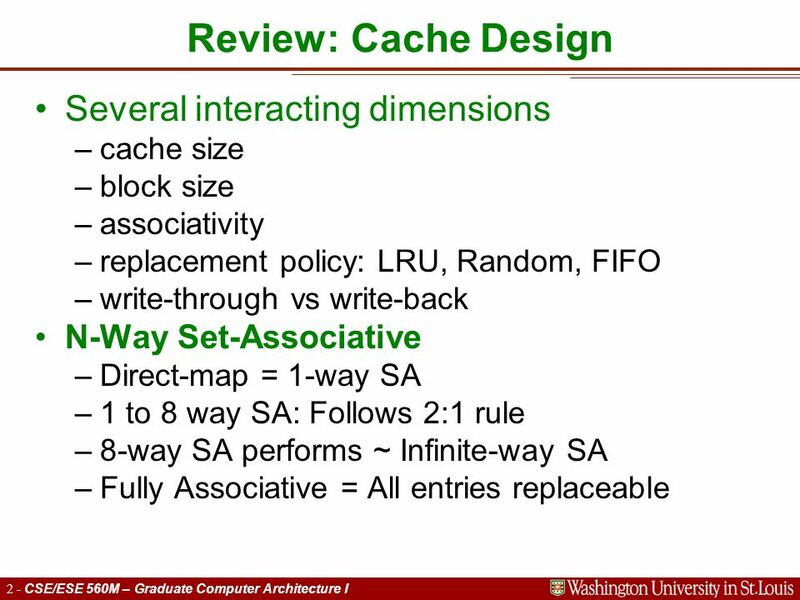 Chapter 12 CPU Structure and Function. 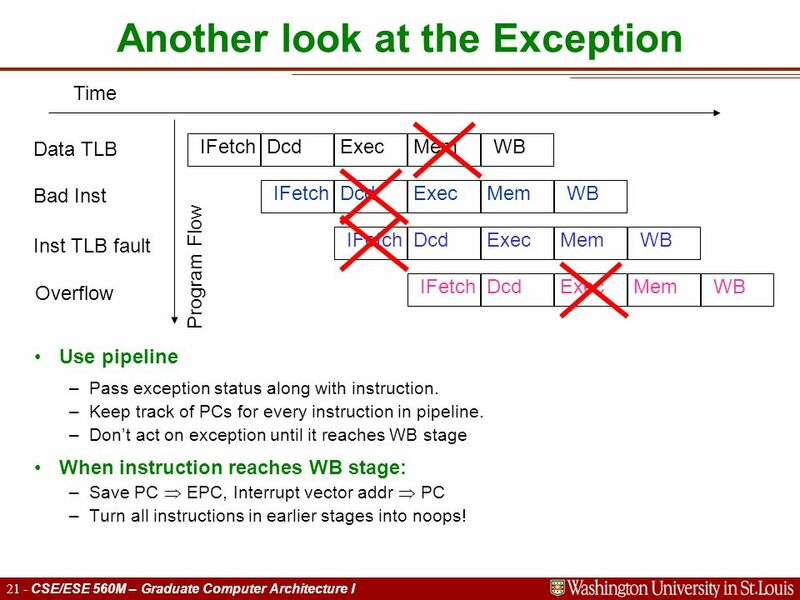 CPU Sequence Fetch instructions Interpret instructions Fetch data Process data Write data. May 7, A Real Problem  What if you wanted to run a program that needs more memory than you have? Computer Organization CS224 Fall 2012 Lesson 44. 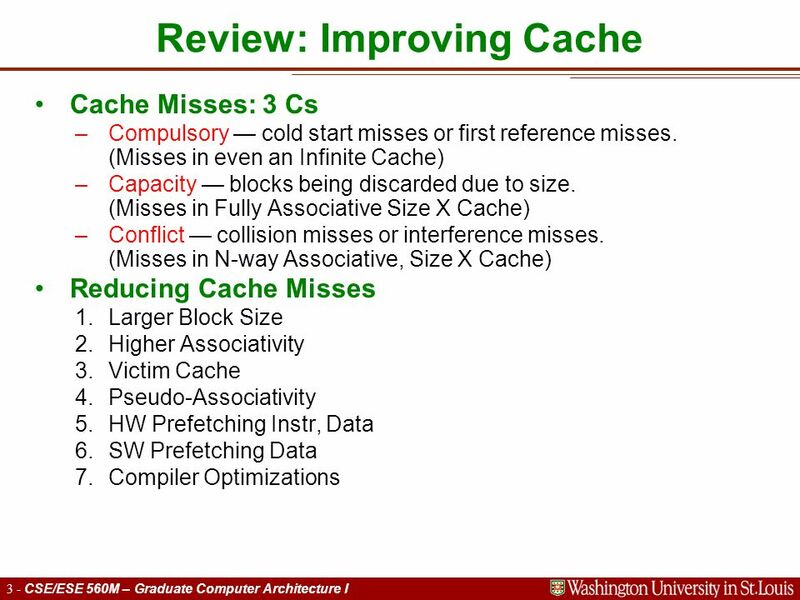 Virtual Memory  Use main memory as a “cache” for secondary (disk) storage l Managed jointly by CPU hardware. 1 A Real Problem  What if you wanted to run a program that needs more memory than you have? 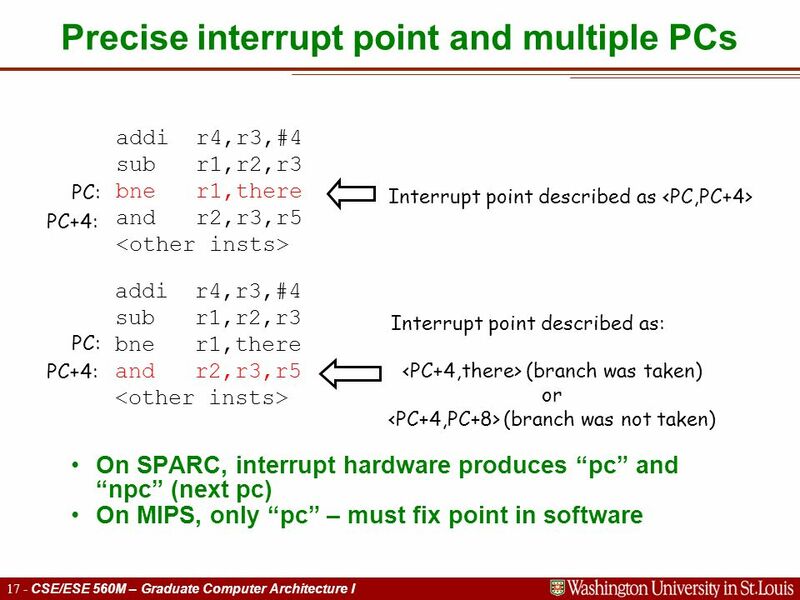 CS252/Kubiatowicz Lec 3.1 9/8/00 CS252 Graduate Computer Architecture Lecture 3 RISC vs CISC Control Flow, Interrupts, and Exceptions September 8, 2000. OS2-1 Chapter 2 Computer System Structures. OS2-2 Outlines Computer System Operation I/O Structure Storage Structure Storage Hierarchy Hardware Protection. CS252/Kubiatowicz Lec 4.1 9/8/99 CS252 Graduate Computer Architecture Lecture 4 Control Flow, Interrupts, and Exceptions September 8, 1999 Prof. John Kubiatowicz. 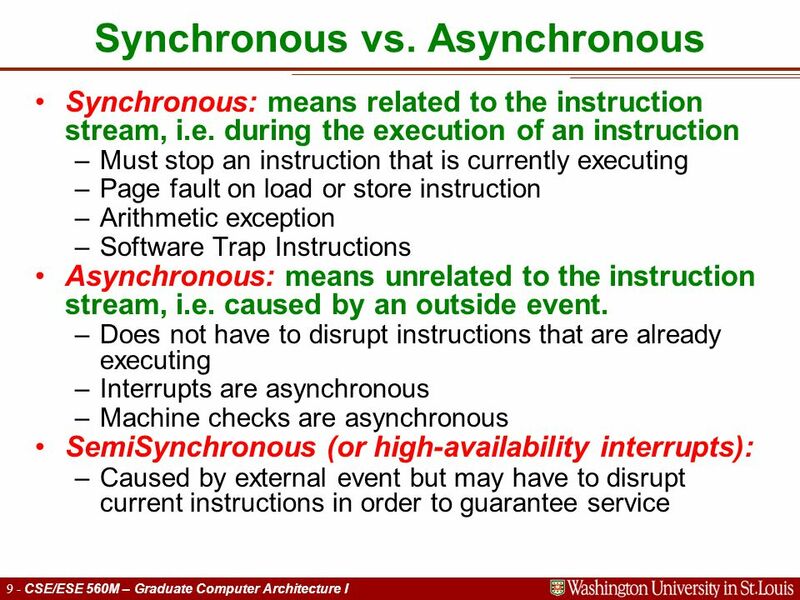 1 School of Computing Science Simon Fraser University CMPT 300: Operating Systems I Dr. Mohamed Hefeeda. Computer ArchitectureFall 2008 © November 10, 2007 Nael Abu-Ghazaleh Lecture 23 Virtual. Computer ArchitectureFall 2007 © November 21, 2007 Karem A. Sakallah Lecture 23 Virtual Memory (2) CS : Computer Architecture.